Finding the best way of maximizing return on products and services is a full-time job for business owners worldwide. Fortunately, WordPress provides a range of powerful plugins for implementing one of the best strategies out there for turbo-charging your revenue: adding a membership component to your site. It’s a move that can add near-instant results to your bottom line, practically regardless of what type of industry you’re in. In this article, we’ll run through a list of the main WordPress membership plugin providers to give you a head start in getting set up. Before we crack on with that though, let’s make sure you’re orientated by briefly reviewing what makes membership sites an option worth exploring in the first place. Stable, repeating cash flow is the holy grail of any business, large or small. Get this dialled in and you’ll be able to start using simple but powerful concepts such as churn rate and customer lifetime value to optimize your marketing funnel and drive further profits. Got a huge list of customers or contacts you’re not really doing anything with? Or a ton of marketing material gathering physical or digital dust? A membership site gives you a powerful way of re-using existing assets and extracting maximum value from them. There was a time when creating a monetizable membership site would have required serious expense and weeks (if not months) of custom development work. Those days are thankfully gone. Professionally produced WordPress plugins now make this option a reality for site owners, regardless of their level of technical ability. Long after the initial sale is locked in, a well-run membership site gives you a natural way to continue marketing further offerings to your users in a respectful and appropriate setting. Well-run sites stand to benefit from a viral effect where happy members encourage their friends to join and check out your offering. The membership model is a great way of turning customers into champions for your business. Hopefully that brief list has got you thinking about the value a membership offering could bring to your own business. Let’s have a quick look now at points to consider when you’re looking for the right plugin solution. Any of the solutions we’ll mention below are capable of getting you up and running with a basic membership site. If there’s a particular payment gateway (or gateways) that you need to support, it’s imperative you know your plugin can handle it in advance. While it’s simpler than ever to take payments online these days, it’s still a complex area with a lot of special cases. Do your research in this area before you select a plugin rather than afterwards. Some of the options below are simple plug-and-play affairs that can be set up in minutes, while others are much more sophisticated and powerful tools. Use your judgement to assess what level of complexity you and your team are prepared to deal with to get the results you need. Depending on your particular use case, the presence or absence of particular features could be a deal breaker. You might have an absolute requirement for prorated charges or drip content for example, or need integration into a wider eCommerce solution. Again, a little up-front research time will ensure that you’re happy in the long-term. If you want to dive deeper into some of the criteria to consider, Chris Lema has a number of highly actionable overviews on his site. Copyblogger’s guide for beginners is another great jumping off point for further exploration. With the preambles out of the way, let’s look at the main movers and shakers in the space. WP-Members has been on the scene since as far back as 2006. It’s a free membership plugin with additional functionality available from RocketGeek Interactive under a paid membership model. The basic plugin is free. Joining RocketGeek as a member for $59 unlocks further add-on modules such as PayPal subscriptions and Salesforce integrations. 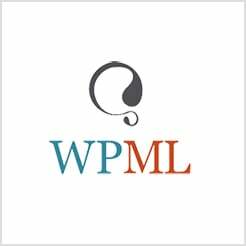 S2Member is another of the old-timers in the membership plugin world and, like WP-Members, it comes in both a free and Pro version. You can see a full list of features here. The basic version is free but comes with limited payment gateway support. The Pro version is offered in single and multi-site license versions at one-time fees of $89 and $189 respectively. Compared to the previous two plugins, MemberMouse represents a significant step up in terms of functionality and features. It’s really almost an entirely separate application, rather than a mere bolt-on plugin, and can handle customer management, support and advanced reporting and analytics along with its core membership functionality. A string of high-profile businesses who’ve chosen it as a solution, along with comprehensive options for payment gateways, API and affiliate platform integrations are further points in its favor. MemberPress is a simple to manage plugin from the makers of Affiliate Royale. It’s a paid solution that comes with support for unlimited membership levels and solid built-in reporting options. Examples of showcase sites running MemberPress (such as Athleticulture) are regularly featured on their well-maintained blog. MemberPress is a paid solution with a three-tier license structure. Paid Membership Pro is a free membership plugin with advanced functionality available as a paid upgrade. It has good support for a range of common WordPress themes, bbPress support and a solid range of integrations with payment gateways. A number of real-life examples of its use are available to view on the showcase section of its site. A free version of the software is available as well as the standard PMPro option with enhanced functionality. Cart66 is an interesting solution that concentrates on nailing the shopping cart part of the eCommerce problem while also offering a full suite of membership options. It supports an enormous range of payment gateways, offers full PCI compliance out of the box and integrates with all leading themes. You can see a list of businesses currently using Cart66 on the showcase section of their site. Cart66 runs on a monthly subscription basis at either $49 per month or $499 per year (two months free with annual plan). There is also a Free 14 day trial available with no credit card required. Membership plugins have developed rapidly in the last five years and now offer a range of powerful functionality that would have been unthinkable just a short time ago. Non-technical users looking to experiment with a non-monetized membership site: Use WP-Members to get up and running quickly with no added expense. Sites whose focus is eCommerce but want to offer membership as an add-on: The range of hosted features Cart66 offers is hard to beat in this scenario. Sites going all-in on the membership option: MemberMouse is the most fully featured, dedicated solution out there. We’d love to hear from you if you have any questions, further recommendations of your own, or want to share your experiences of any of the plugins we’ve mentioned. Get in touch in the comments below! Thank you for the nice write up. I really could have used this detailed comparison a few months ago. As it turns out, I decided to try the new Rainmaker Platform, which while not technically a plugin, is based upon WP. You may want to present it to your readers as an alternative membership solution.